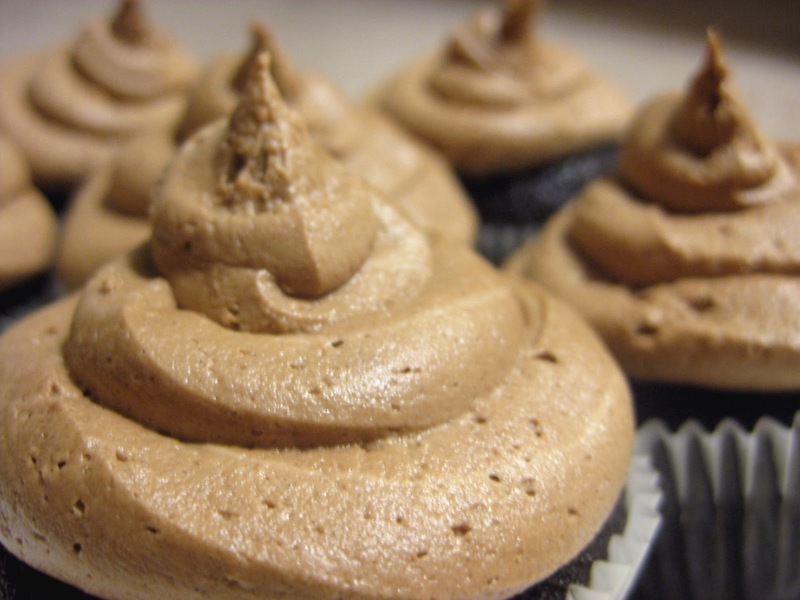 What good are chocolate cupcakes if you don't have some amazing frosting to go with them? I don't know about you but for me, frosting is definitely the best part about eating cake. You can thank me later for this frosting recipe. It's pretty much the best. And if you'd prefer to keep it a vanilla frosting? Just omit the cocoa powder. Enjoy! Cream the butter and shortening in the bowl of an electric mixer. Add the vanilla extract and combine well. Begin adding in the sugar and mixing thoroughly after each addition. After all of the sugar has been added and mixed thoroughly, begin adding the very cold milk, one tablespoon at a time, combining very well after each addition (mixer on medium-high speed) until you reach the desired consistency. Add cocoa powder and mix thoroughly. Spread onto desired treat. To obtain the effect seen in the cupcakes above, spoon all frosting into a large plastic bag. Seal bag tightly and cut a 1/4-inch cut into the bottom corner of the bag. 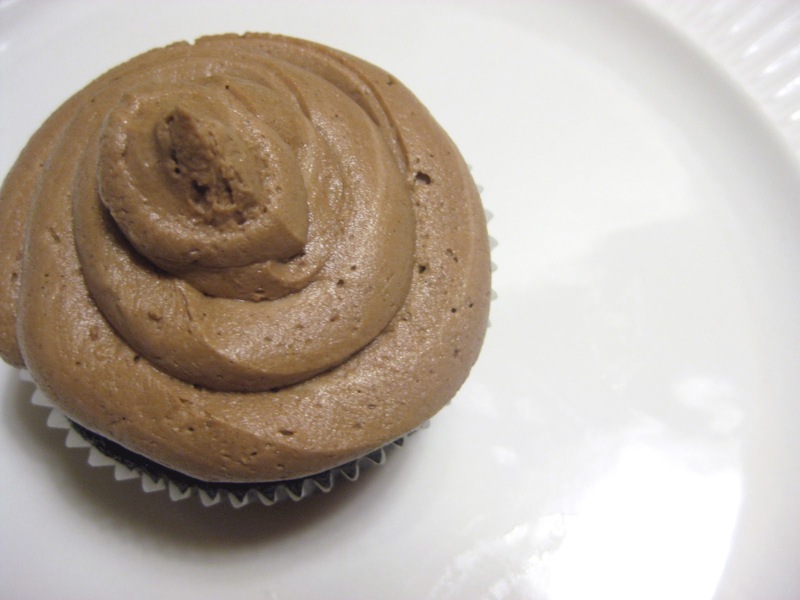 Holding from the top, slowly squeeze out frosting in a circular motion onto cupcake. The more the better. Wow. One stick of butter - that's a lot. But I bet this tastes absolutely delicious.